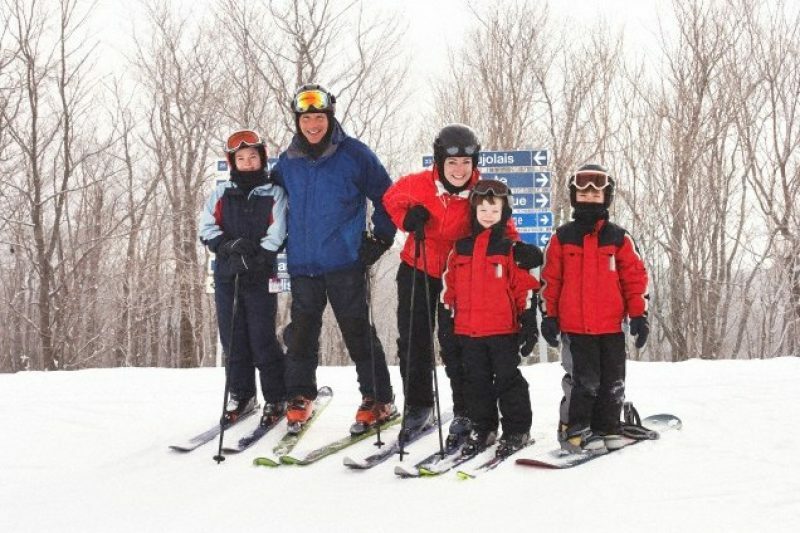 Skiing with kids is a completely different experience to skiing as a couple or with a group of adult friends. If you are considering a ski holiday with kids for the first time, there are a few points to consider to make sure that everything glides smoothly. Once you know what to expect and have prepared for every eventuality, the experience will be a rewarding and memorable family event. Choosing the resort with the perfect facilities to suit your family should be the priority. Some resorts cater specifically for families and offer services such as activity sessions, babysitting services and game rooms. These services are all welcome after an exhilarating day on the piste or nursery slopes. Children will be exhausted by the end of the day and having a reliable baby sitting service, will not only enable the kids to get to bed early but will also allow the parents to go out and mingle with other adults over dinner or Hot Whiskey. If you have toddlers in your family, an on-site crèche will be invaluable. However, there are many varied things to do at a resort that can include your toddler in the family vacation such as swimming and sledding. Location is paramount and it is important to book a property within easy walking distance to the ski lifts. Ski equipment can be heavy and it usually falls to parents to carry it – especially if there is a great distance involved. Location is also important when considering how far the resort is from the nearest airport. Travelling with very young children can be tiresome at the best of times and having a long 2 hour transfer in addition to the flight, might be a bit strenuous. When packing, always pack extra mittens and gloves as they are the most commonly lost items of clothing. Spare pairs also come in handy for sledding or snowball fights and that allows to keep a pair dry and warm for skiing. Good quality socks and thick tights are always advised – even for boys – as they add an extra layer of insulation especially in the higher altitude resorts. Ski clothing is very bulky and will take most of the luggage room but kiddies will need a minimum of other clothing as they will generally stay in their ski gear for most of the day and then change directly into their warm pyjamas at night. Basically, children need the same skiwear that adults need, thermals, ski trousers, jacket and hat. Packing for skiing is very different to packing for a day at the beach but the two have two items in common and they are sunglasses and sunscreen. Because of the glare off the snow, sunglasses with strong UV protection are highly recommended whereas goggles are only advised if it is snowing of if there is a high prevalent wind. Many resorts may have goggles for hire, but it is advisable to have a well fitting pair of sunglasses for your child on arrival. Sunscreen with a high SPF factor is highly recommended . Give yourself more time than necessary to do everything on the first day. Allow a generous margin of time for getting ready, navigating your way to and around the ski equipment and for arriving for ski lessons. Once you have got your bearings, arrange a meeting place with your children so that if any of you get separated or lost, you will know where to go. Have your camera ready to capture all the fun of the moment and enjoy every minute.